This thing was pretty unstoppable in Texas. Won lots of bets on things I could do with this XJ because of the way it's built. I have yet to wheel it up here. 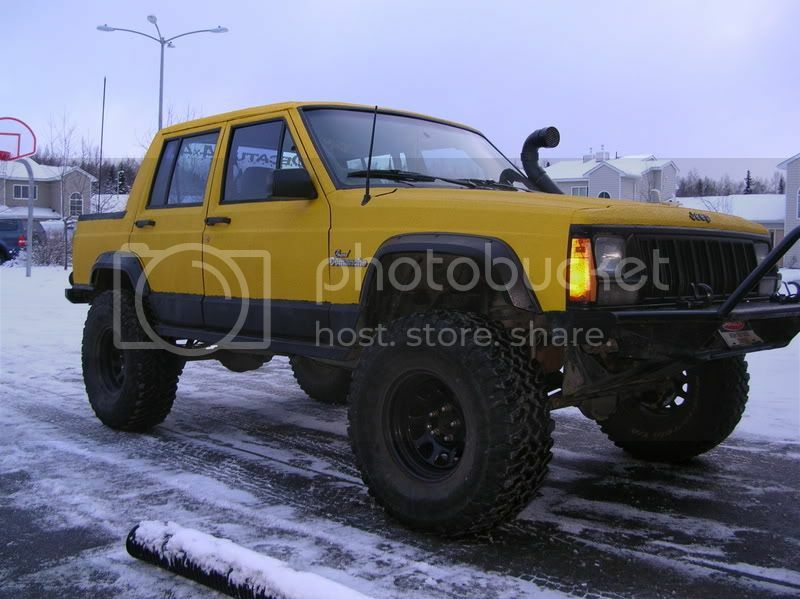 Thing is I'm new up here and I have no idea what my XJ would be worth. Could y'all give me some direction? Here are some specs on it. I have since swapped out every bit of drivetrain and made many modifications to it. NP231 has wide chain from a dakota and PORC SYE kit installed. I'm running front driveshafts front and rear and I have a spare. I also replaced the tabs on both forks. Lots of custom mods done to this XJ. Obviously it's chopped, but it is water tight, doesn't leak at all. 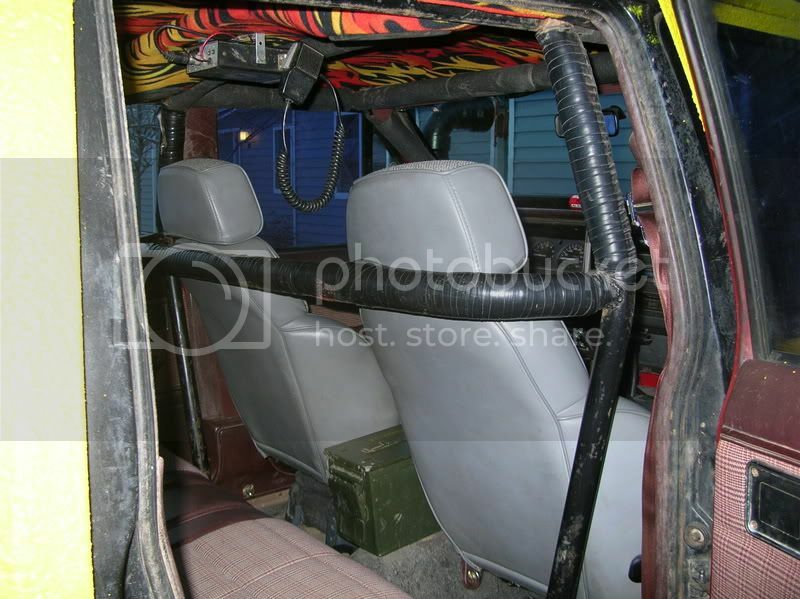 I have caged the interior and have 3pt harness for the rear seats and 3pt / removable 4pt for the front. 2 sets of seats, stock and the plastic racing with camo covers. Sound bar just above/behind the front seats. CB, custom bumpers front and rear, and the quarter panels have been cut out and 2x6-3/16" thick steel rockers have been welded to the body. Custom snorkle that has a 3" opening from the stock air box to the top of the windshield. I also have a section of cage that goes into the rear of the XJ to finish it off. Just haven't put it back in yet. 2 ammo cans make up the center console and the rear storage. Modified the one in the back to be able to lock it. Works well for trail tools and recovery gear. There is lots' more to this thing. I used to work at an auto parts store so I have have put alot of the "little stuff" into it. 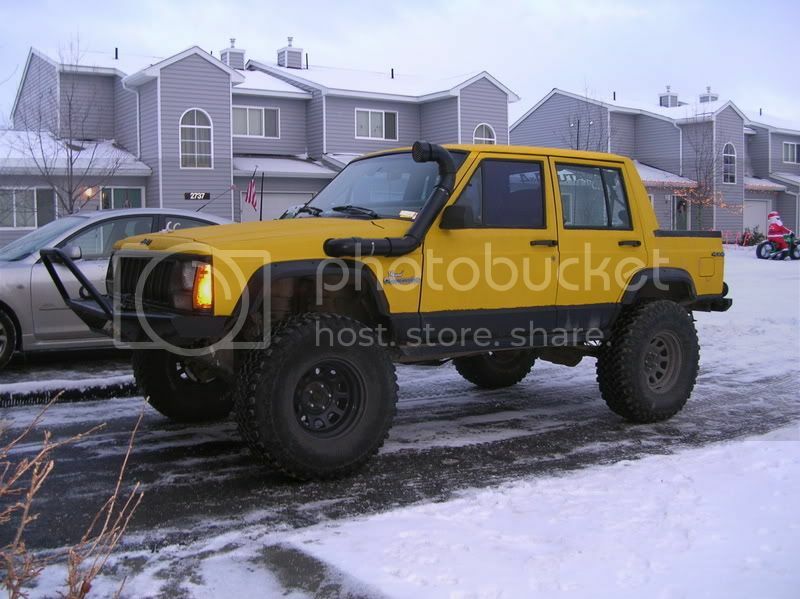 I have no idea what it would be worth to someone, or how much to price a Jeep like this up here. Here are a few pics to go with the thread. it would probably go great up here. but if you really want to sell it, put a price that you are comfortable with plus OBRO (or best REASONABLE offer.) i don't have the money or i'd make an offer. one of my favorite sayings ( i think i made it up or heard it a long time ago) is that something is worth what someone else is willing to pay. in other words, price it high you just might get a bite. but personally i'd wheel it a couple of times before deciding if its right for you up here. IMO it'd be a trail rig only up here. It'd never pass the IM for the Anch. area..
Why wouldn't it pass the IM? In that matter, what all is tested in the IM? I've heard alot about it but haven't researched it much. isn't im going away? he could keep it registered in his home of record until it does. Keep it! Trust me, i will show you why. I would go back to a xj any day. 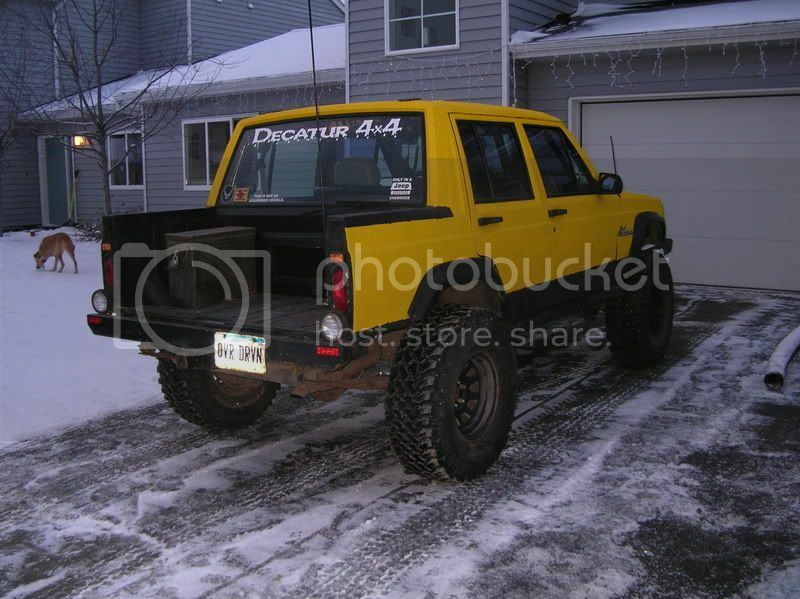 i love my xj...ive got it in my living will that if i die...i am to be buried...in my xj. I'm with the others. Keep it. That is a nice truck for the trails up here and there is lots to explore. You can always sell it later. ATV's are easy to come by. Just save your pennies. The truck would be much harder to replace. I have always regretted selling every Jeep I've had in the past. I'm sure this would fall into the same catagory if I did sell it. Guess I'm a little discouraged about how this thing drives on the ice. Had I known then what I know now I would have done two things different. I would have gone with selectable lockers so I'm not sliding so much on the ice and I probably wouldn't have chopped it. I love the look of the chopped XJ but you loose all that enclosed space protected from the elements. I need to find a good waterproof box to throw in the back of that thing. I blame it on the Detroits in the diffs. If I had ARB's like you Mr. Bean I wouldn't be complaining. Or sell it to me. yea when i welded my 35 it wAs a lil unnerving at first...but then i got used to just airng down the rear tires an using a lil more loud pedal to crack the rear loose an re-aim it as needed.